Masonite is located just outside the City of Denmark. They are one of the world's largest producers of residential doors having the capacity to produce up to 7,000 doors a day. Presently they employ around 200 people. 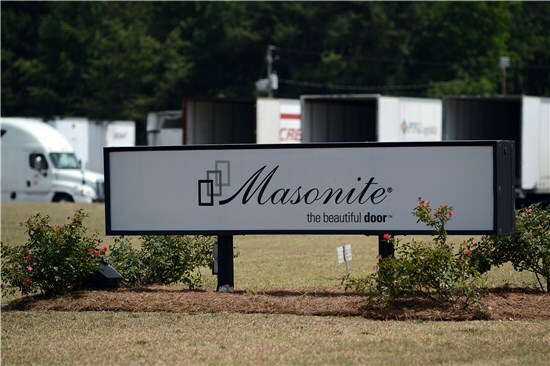 Masonite is one of Bamberg's newest industries. Recognizing a tremendous opportunity to take advantage of Bamberg's proximity to markets and local workforce the company has invested over 14 million in the community since 2011. The Bamberg Facility employs approximately 132 people and has been located in the community since 1970. As the maker of highly refined nozzles, UTC controls approximately 70 percent of this market. Future product development includes entry and growth in South Carolina's ever advancing automotive and aerospace clusters. 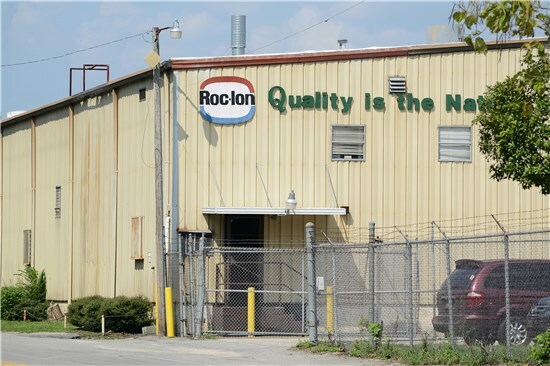 Rockland Industries has been located at the current Bamberg County facility for over 40 years. As a maker of high performance specialty "black-out" fabric, Rockland is one of the only textile companies in the nation that continues to export fabric to Asia and the Far East. They consistently employ approximately 130 individuals. German based FST is the newest addition to Bamberg County's family of companies. Last year, Freudenberg purchased the existing assets of Tobul Accumulator. Tobul had been a world leader in the Hydraulic Accumulator market and operating in Bamberg County since 1987. Capitalizing on this high level of foundational experience, Freudenberg continues to grow the company at the Bamberg location. The plant currently employs around 130 individuals. 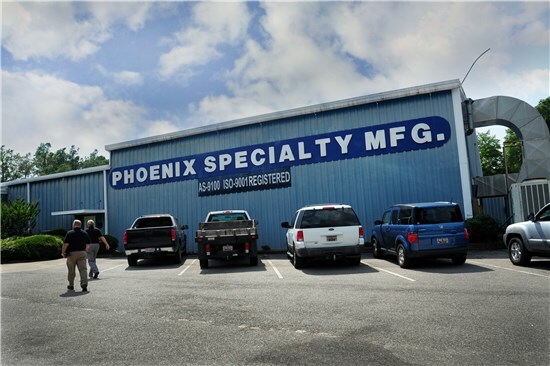 In business for over 100 years, today Phoenix produces high quality washers and shims for a variety of applications. Phoenix has the ability to create highly refined components. As a result, many of the parts made are used in aerospace propulsions systems. The aerospace division of General Electric is one of their larger customers. The company historically employees around 90 people and ahs been operating successfully in Bamberg since 1969. Located in Denmark for almost 20 years, Kinsouth is an OEM supplier for the Advanced Tabco brand of stainless steel sinks, tables and restaurant equipment. Currently, they employ approximately 30 welders and fabricators. Denmark Lumber has been successfully operating at its current location since 2008. With 32 employees, this family owned business mills specialty lumber such as Cypress and Tupelo Gum and supplies materials to the specialty building and wholesale markets worldwide. Established in 1963, International Reinforced Plastics produces quality fiberglass tanks, vessels, and filtration systems. Presently, a large portion of their market consists of custom fabrication of commercial swimming pool filters. IRP has around 40 employees and has been in continuous operation for over five decades. Founded in 1987, Southeastern Fiberglass Products manufactures advanced custom-engineered fiberglass equipment for a variety of corrosion applications in the pulp and paper, chemical, pharmaceutical, energy and municipal markets. Southeastern employees approximately 38 designers, engineers and plastics fabricators. One of Bamberg County's newest industries, Green Link produces specialty wood ve3neers primarily for the wood laminate flooring market. International producers such as Bruce and Armstrong rely heavily on the wood laminate material supplied by Green Link for many of their high end floor products. Green Link has a production staff of 40. Bamberg is part of a multi-county revenue sharing agreement. With this agreement, Bamberg County receives a share of the tax revenue from a select group of industries outside the county borders. The following companies are some of the most notable contributors to a growing number of revenue sharing properties. Located in neighboring Allendale County, Georgia-Pacific is situated on a 480-acre site near the town of Fairfax. Founded in 2005, Georgia-Pacific is the world's largest producer of oriented strand board. The company employs 140 individuals at the $300 million facility. Kronotex USA, a division of the Swiss Krono Group, began its current manufacturing operation in the adjoin county of Barnwell in 2005. This 130 million dollar facility employs around 190 individuals and has successfully launched a number of plant expansions increasing both jobs and capital investment for the area. Beginning operations in Barnwell County in 2010, Horsehead is the world's largest producer of Zinc from recycled materials. The facility has the capacity to process up to 180,000 tons per year of Electric Arc Furnace dust extracting the zinc to be used in a wide variety of products from sunscreen to cosmetics. The company's $87 million investment has generated 54 jobs.